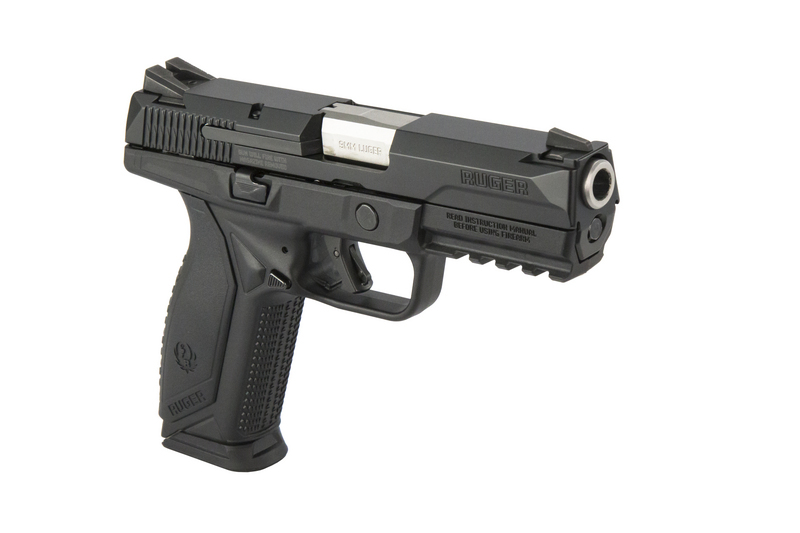 Designed with the latest U.S. Military standards in mind, the Ruger American Pistol ™ is built to perform in the harshest conditions. A true American innovation, this pistol was developed through a rigorous “Voice of the Customer” process – where numerous law enforcement and military trainers, firearms experts, distributors and retailers provided input, feedback and testing in the determination of the form, function and features of this firearm. The resultant new pistol is a revolutionary platform for Ruger, one that utilizes the combination of a recoil-reducing barrel cam (which is designed to better spread recoil energy over time) with a low mass slide, low center of gravity and a low bore axis to provide an unparalleled shooting experience.
" Shoot in on the debut week end, rent free at the range. Great functioning pistol and accurate. my wife never shot anything bigger than a 22 and more than 20 years ago, she was able to handle it and put most of the rounds in the small target area. "